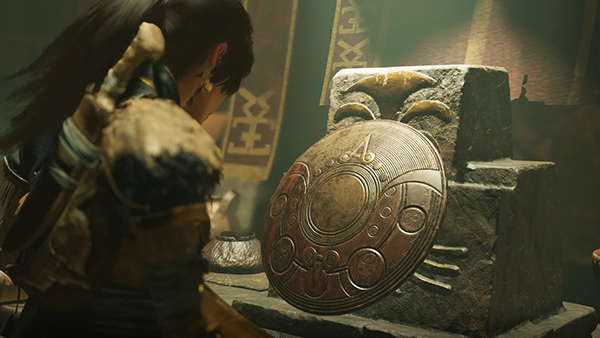 In the next room, Lara finds the Shield of the Age Maker and contacts Jonah and Q'orianka to tell them. But while they're talking, more cult members arrive. 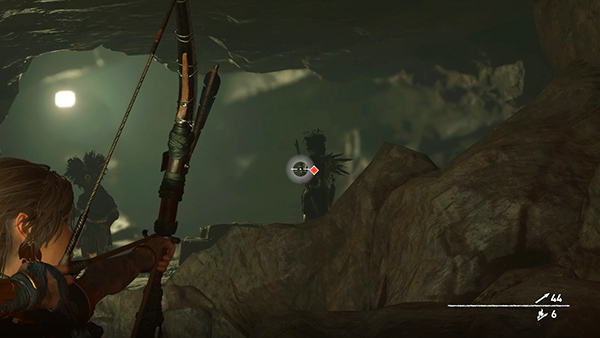 ...to headshot the Eagle Archer lurking behind the boulder just inside the cave. 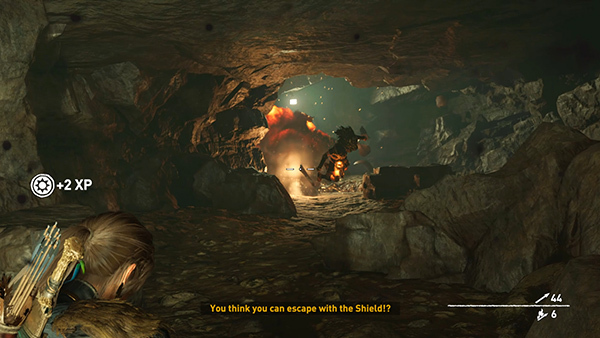 If he manages to toss a firebomb before you can kill him, scramble out of the way. 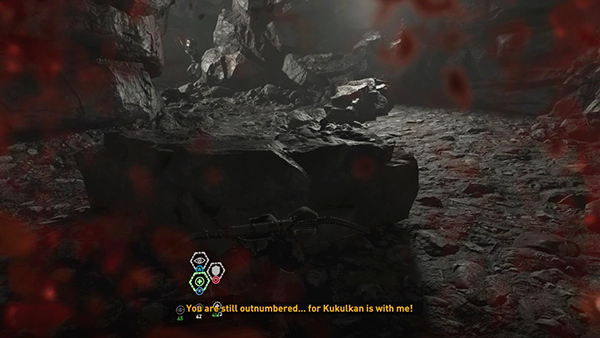 Then finish him off. 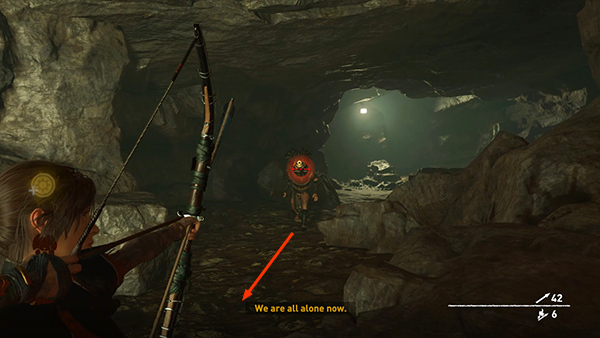 The next enemies don't spawn until you enter the cave. 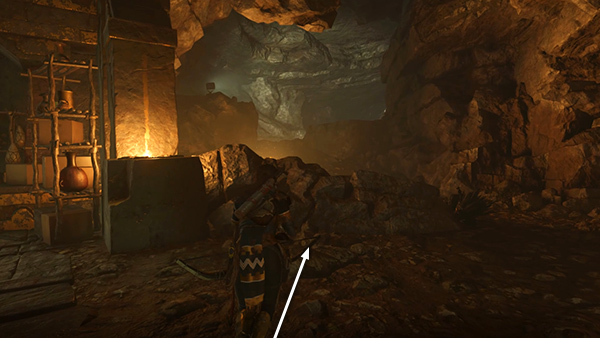 Loot the warrior's body and pick up some rifle and shotgun ammo near the right wall. 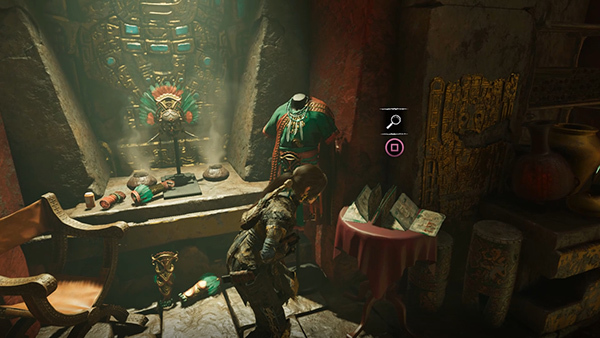 Then examine the last document (4/4), Amaru's Diary Page (Mam), on a table near the opposite wall, where the cult leader's Kukulkan regalia is on display. 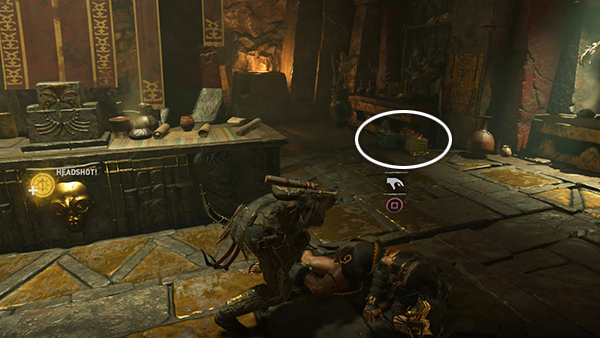 If you've found all the other collectibles, this will complete The Age Makers Story. 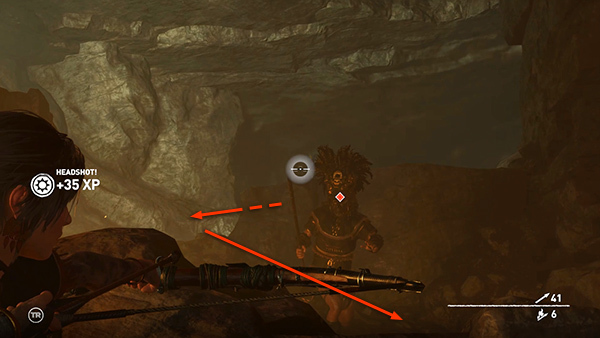 When you enter the cave, 3 more enemies spawn deeper inside the cave on the left. 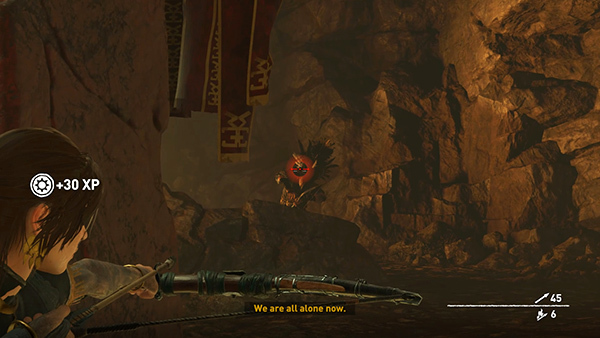 First, an Eagle Archer on the far left. You can probably kill him with a headshot. Then a Jaguar Warrior, who rushes in from the upper right and runs down toward you. Shoot him as he approaches. 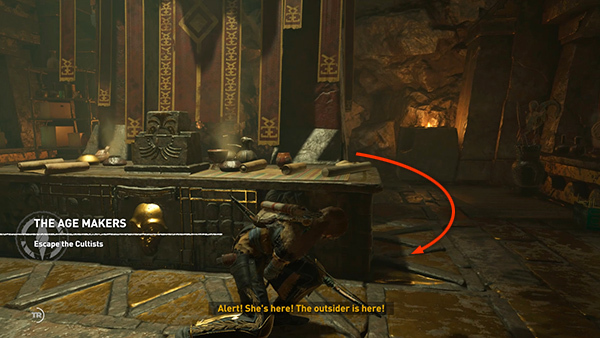 Then another archer pops up behind the ledge where the warrior emerged. 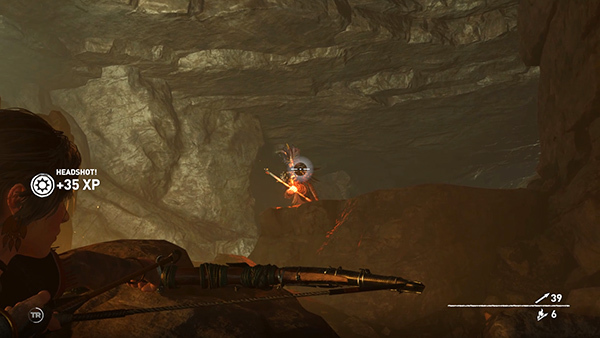 Kill him as quickly as you can, since he'll start shooting flaming arrows. 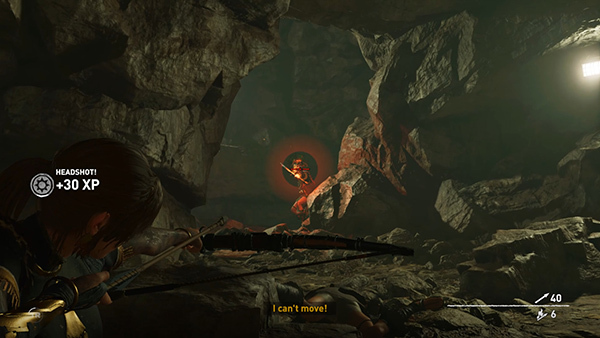 There's another pause in the action, so if Lara took damage, wait for her health to regenerate or use a health mixture. 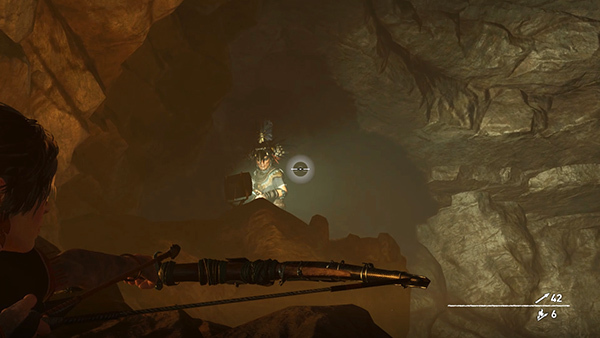 Move deeper into the cave, searching bodies as you go. At the top of the slope turn right and step out until Lara says, "There's more of them." 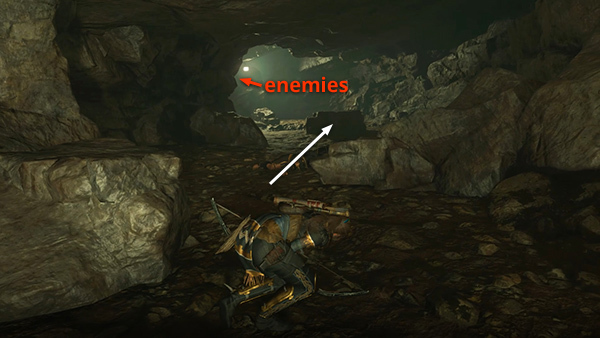 The next 4 enemies don't appear until you move farther into the cave. Advance and take cover behind the last rock wall on the right before the electric light. 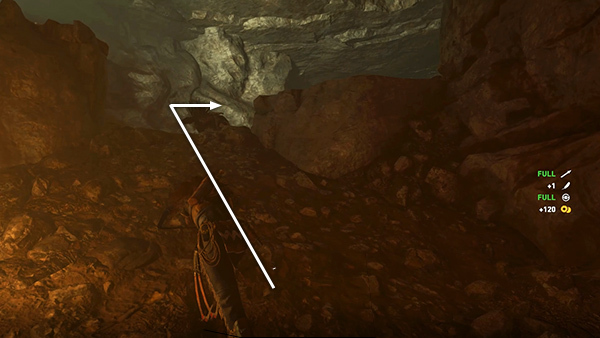 A warrior immediately jumps down from a ledge farther along the tunnel on the left. 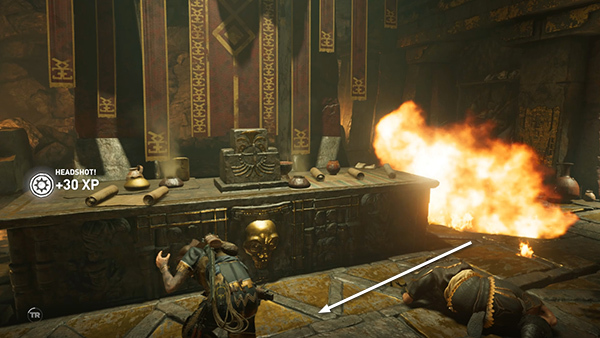 If you're quick, you can take out one or two of the others by shooting the explosive jar on the ledge before they're able to jump down. 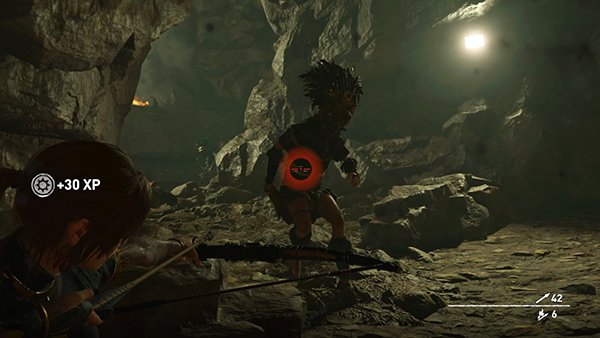 Then shoot the warrior as he approaches, or wait for him to attack and use the Puma's Feint. 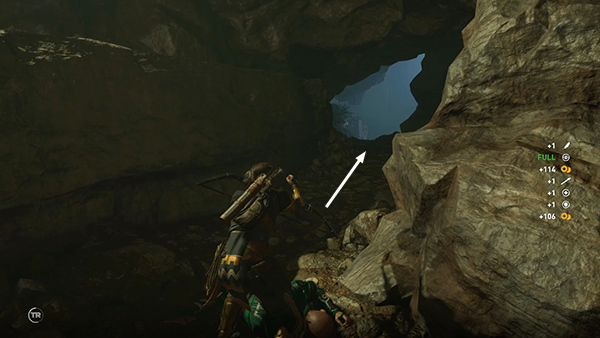 If things get rough, you can run back down the tunnel or just release Aim to crouch in place so you can heal or use other herbs. 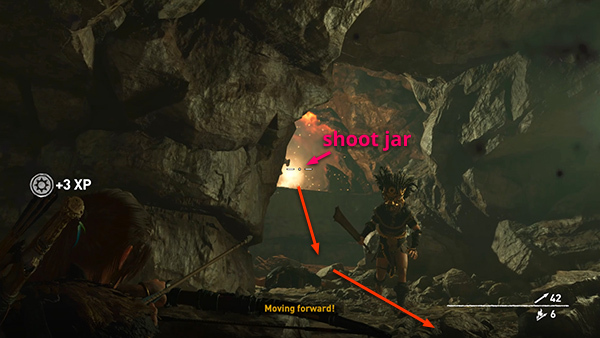 Finish off the remaining archers and/or serpent guard if they weren't killed when you shot the jar. 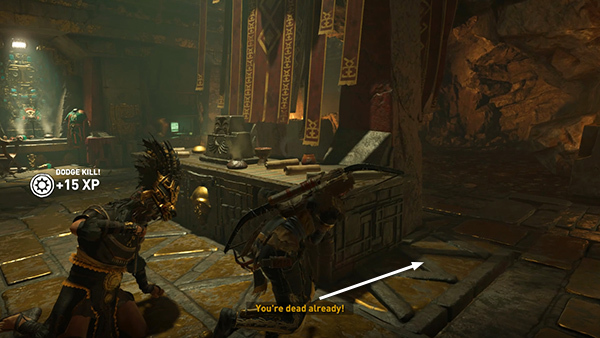 Loot the bodies and get ready for the next fight. (Yes, another one!) 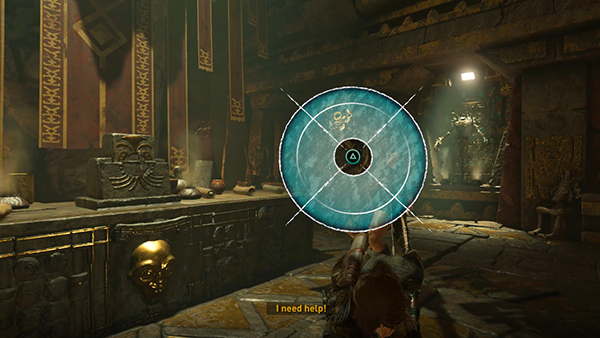 If you didn't pick up the ammo or document #4 back in the room where you found the shield, you can return there now, but once you enter the next area, you won't be able to backtrack. 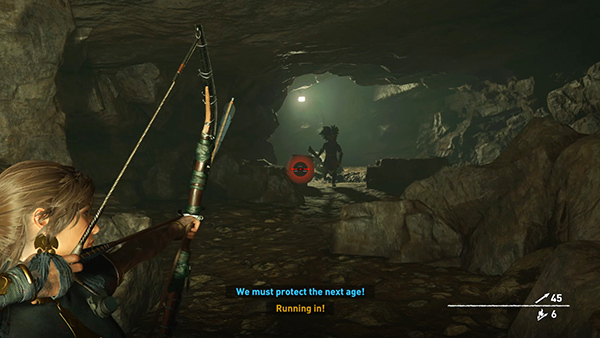 When you're ready, continue through the tunnel to the east to the blue-lit opening.